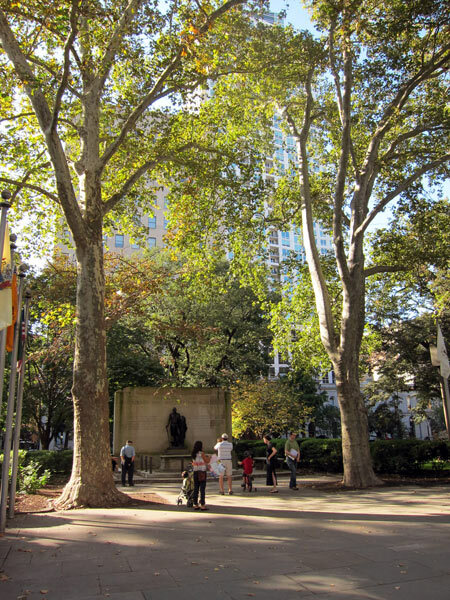 Southeast Square was drawn into the original plans for Philadelphia in 1682 by William Penn’s surveyor Thomas Holme. 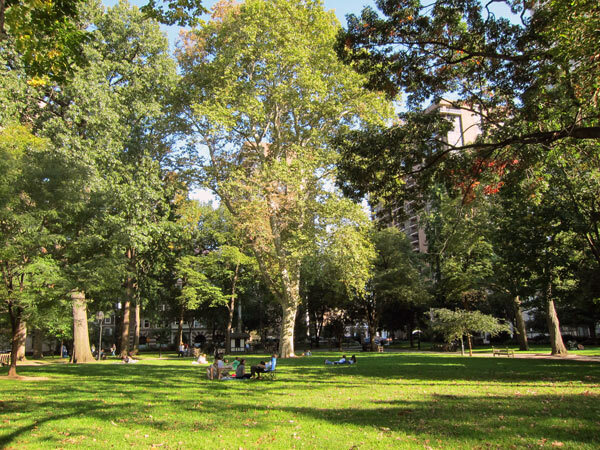 For the first 120 years the square was defined primarily as a burial ground, used initially by the city’s African-American population then by the Continental Army in the Revolutionary War, and later during the city’s yellow fever epidemics. It was in poor condition when it closed as a cemetery around 1800. 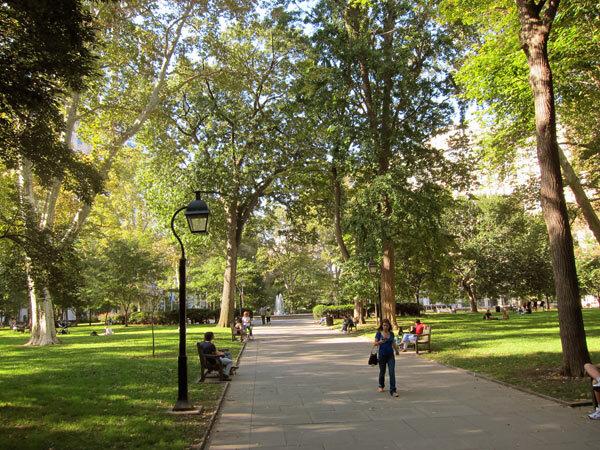 In 1815, French botanist Francois André Michaux and English-born painter George Bridport began converting the square into a public park, planting nearly sixty different tree species to create a small arboretum. 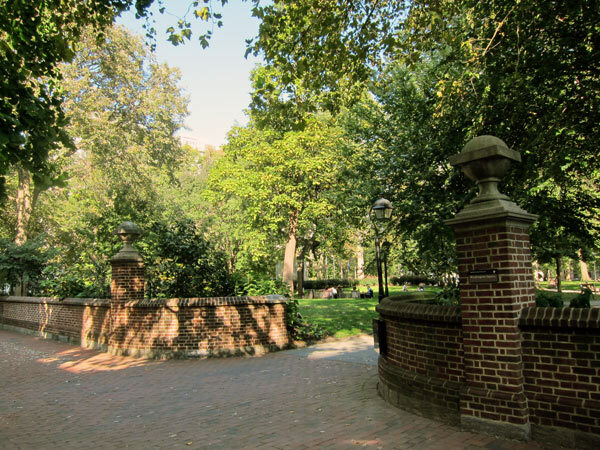 In 1825, the site was renamed Washington Square in honor of George Washington and the Revolutionary War soldiers buried there. 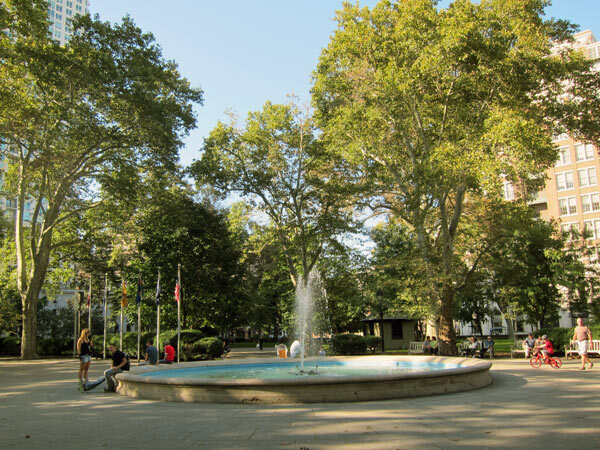 The square was redesigned in 1952, primarily by George Edwin Brumbaugh. 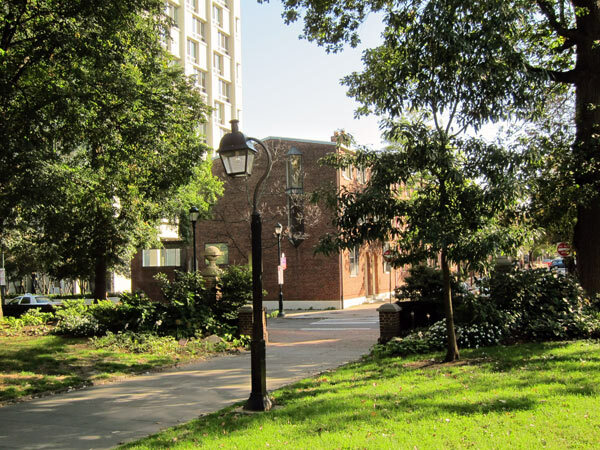 His plan, largely intact today, features colonial-style red brick walls and sidewalks around the perimeter and uses the same lampposts, unique to the adjacent Society Hill neighborhood. The four entrances are ornamented with brick pillars topped with globes, while diagonal concrete paths connect across the square, meeting in the center at a circular fountain. Intersecting the main diagonals is a square walking path. Parkland with open lawn and deciduous trees, predominantly sycamores, make up the field between the paths. The west side of the square houses the Washington Memorial, with a full length bronze cast of Washington; at the foot of this statue sits the Tomb of the Unknown Soldier. 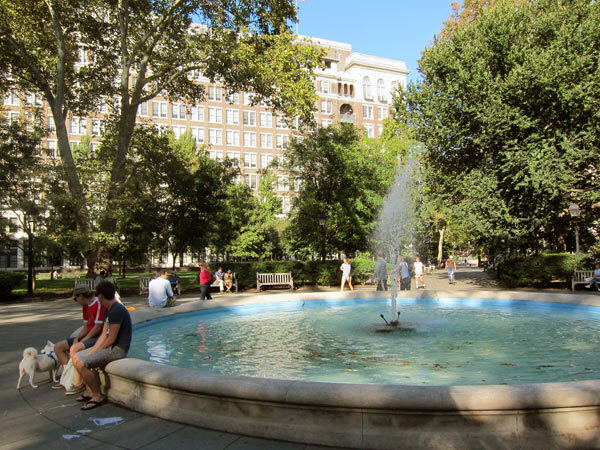 Washington Square was listed in the National Register of Historic Places in 1981.